Well I should be able to write pretty good by now because I do read so much. I agree with this quote because I think you can pick up how to be more articulate in writing by reading others work. 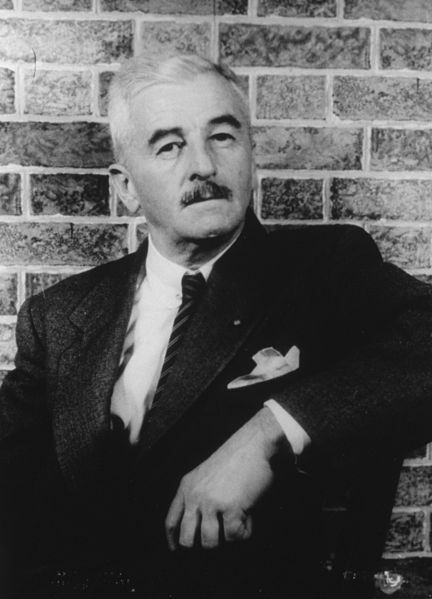 I read a bit of Faulkner’s biography and learned he received the Nobel Prize in Literature in 1949. He never graduated from high school. He used some of his Nobel Prize money to help establish the PEN/Faulkner Award for Fiction. I like the part in the quote where he says if the writing is not good you can throw it out the window. He developed his unique style. I think all writers need to develop their own style. Try not to compare yourself to others or copy others. This entry was posted in Blogging, Blogging Community, Writing and tagged Blogging, Blogging Community, Silver Threading Writer's Quote Wednesday on January 21, 2015 by Deborah Drucker. That’s a wonderful quote and such great advice.